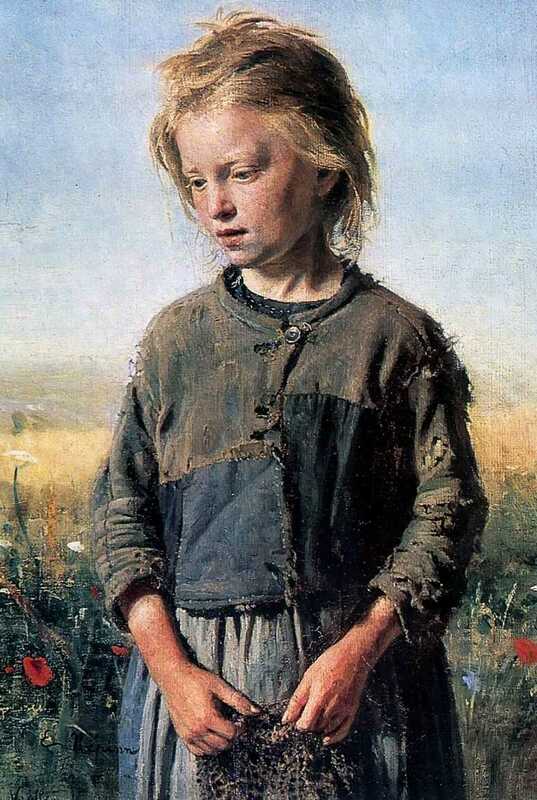 1874 — Beggar (Fisher Girl). Oil on canvas. Realism style. Ilya Repin (1844-1930). Irkutsk Regional Art Museum, Irktusk, Russia.